How Do I Approach a Wounded Dog? Even the gentlest dogs will occassionally bite people attempting to help them. Always have a leash ready when dealing with a wounded dog. You can approach a wounded dog by first ensuring your own safety, slowly walking up to the dog, and carefully gauging its reactions as you proceed. Never rush into a road to save a wounded dog, because you are likely jeopardizing your own life as well as the dog’s life. Approach wounded dogs with caution, reassuring words, and an effective — if not standard — leash. Keep in mind that there is always a certain amount of risk associated with approaching strange dogs. To approach a wounded dog, first assess the situation to ensure your own safety. Sometimes people are hit by cars or otherwise injured in an attempt to help an animal in need. Remember that the animal is depending on you and that getting injured yourself helps no one. Look both ways before crossing a road and ensure the area will be safe for at least a few minutes. This may require help from a friend or emergency services. Slowly walk up to the dog while making reassuring sounds. Kneel down once you are close enough to observe its facial expression and try to gauge the dog’s reaction to your presence. A growling, wide-eyed, or teeth-baring dog is likely dangerous, and you should stop attempting to approach the dog for your own safety. This kind of reaction does not necessarily mean the wounded dog is naturally aggressive, but it is likely scared and trying to defend itself from further harm. If the dog reacts with a pleasant response, such as lowering its head or wagging its tail, reach a hand out to it. Make absolutely certain the dog is happy to see you by continuing to observe its responses. First pet under its neck and then the top of its head if everything goes well. 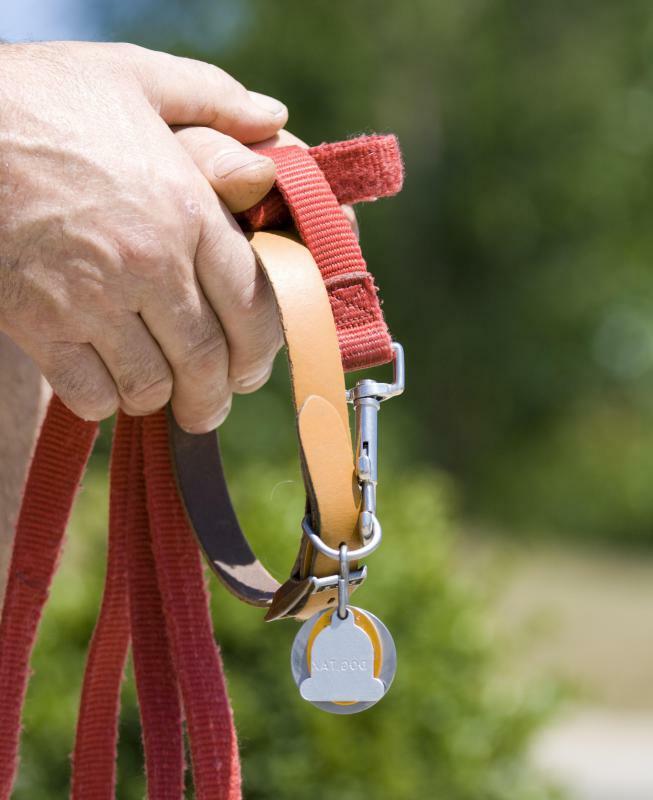 Next, use a leash or fashion a leash from a nearby item, such as a belt or rope, to secure the dog by your side. Many people recommend muzzling a wounded dog, even if it seems non-aggressive. Even the gentlest dogs will occasionally bite people attempting to help them. In fact, sometimes people see very submissive behaviors in a wounded dog and proceed to approach it thinking it wants help. The truth is that submissive dogs are also dangerous because they bite out of fear rather than aggression. 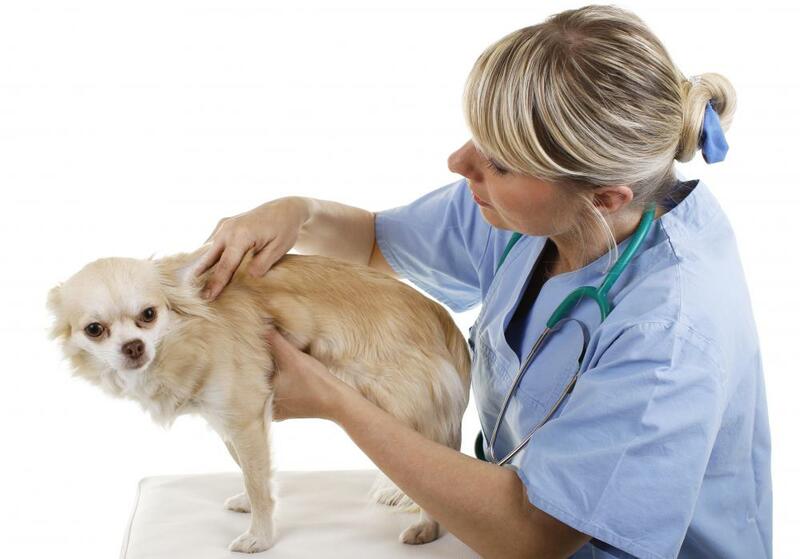 Although there are few diseases that can be transferred between dogs and humans, dog bites can leave scarring or become infected without proper treatment, eventually becoming fatal. How Do I Make Dogs Wag Their Tails? How Do I Treat a Scab on a Dog?